South Korea's largest ISP is looking to regain back their money that was spent on upgrading their network by charging the most data hungry websites. 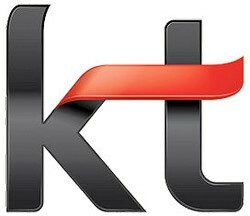 KT will start by blocking access to some TV apps found Samsung's internet TVs, looking to strike up a payment deal where data-heavy services would possibly have to share advertising income or pay fees to the ISP. According an interview with Reuters, KT's vice president of smart network policy, Kim Taehwan said it's not just Samsung that it'll be tapping up for cash; once its system is in place, the company will be moving on to bandwidth-taxing manufacturers, "be it Apple or Google." Ah well. I'm assuming that if the companies that are being charged don't pay up, the ISP will block access to the site. I hope the consumer base retaliates by switching their internet services to a different provider.